I have some photos to post today! 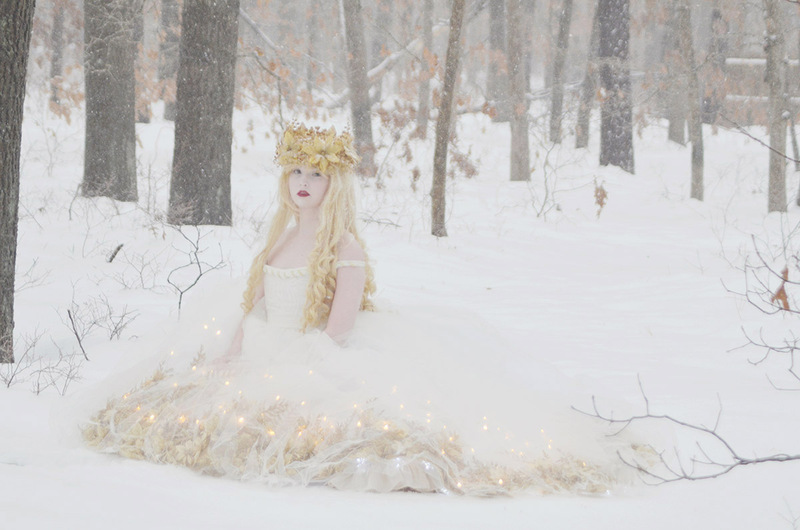 Finally the weather conditions were perfect for photographing my Christmas Angel costume. 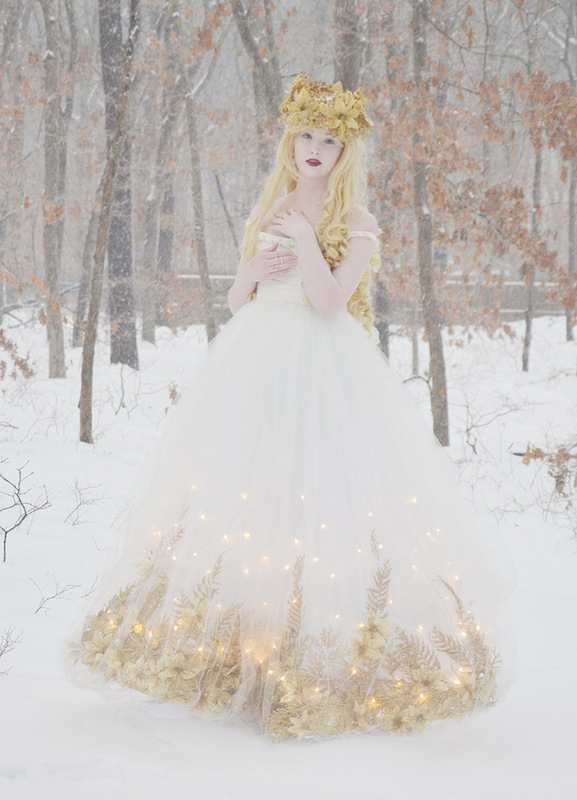 My dad and I went to a Christmas tree farm in December and photographed it, but it was so bright out (even on an overcast day) that you couldn’t tell the dress had lights in it! And the lights are the key feature of this dress. So I decided that the only good environment for photographing it was a stormy, snowy day. We’ve had a few of those in NY this week. 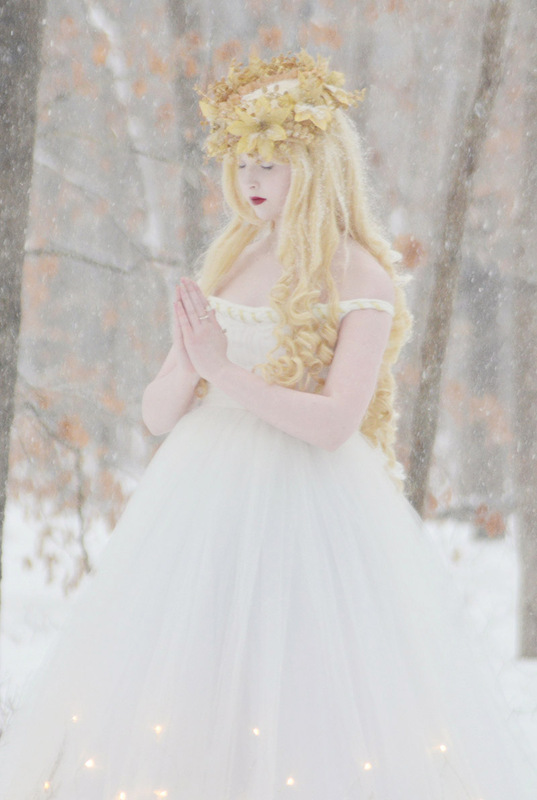 Last week we got thirty inches which was a little bit too much snow to walk about in a ball gown. Luckily a lot of it has melted and iced over, which makes it easier to wade through. Yesterday we got six hours of icy rain – but just before the light faded it turned to gorgeous snow. Which led to a mad dash of trying to put on makeup, a wig, and a huge dress is less than half an hour. I succeeded…kind of! I had lipstick all over my teeth and part of the dress was stuck in the waistband and the petticoat looks lopsided, but we did get some photos before it got dark! 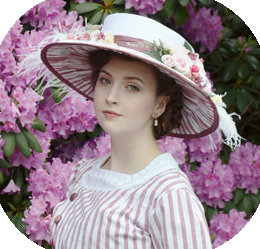 I think the photos I took inside are a better representation of what this costume looks like, but these ones certainly have a nicer backdrop and atmosphere! Big thanks to my dad for taking the pictures for me! How did you do that without freezing? Love the pictures. You are such a beautiful girl. I didn’t! It was very very cold, but we weren’t out for very long and I had hot chocolate shortly after coming inside! Thank you. Hi I’m very much interested in this dress! I’ve been looking for a dress like this one and I’m curious where to buy one and price as well. Please get back to me at your earliest convenience! Thank you and it’s a beautiful dress to say the least! Amazing work! The second to last photo is really stunning! So beautiful, excellent background and mood. Though how you managed without getting sick! You must have been freezing! Great job though you are incredibly talented. Thank you very much! It was very cold, but we didn’t stay out for very long. 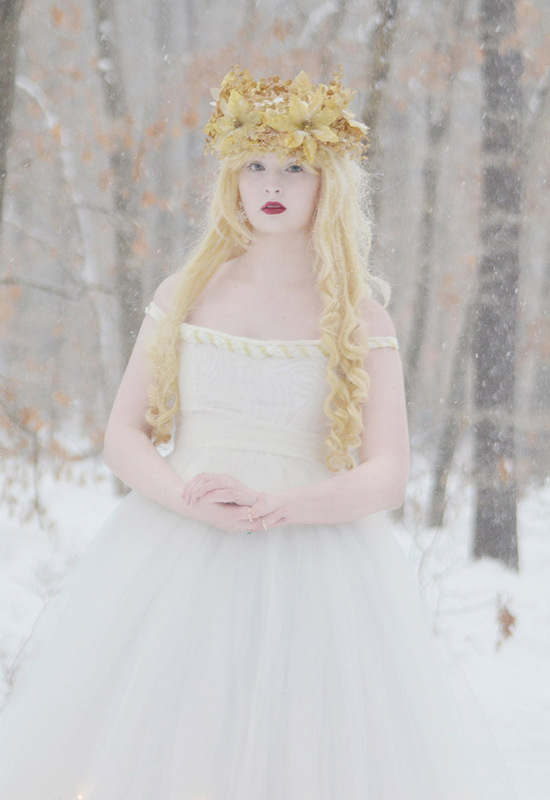 And I had about a million layers of tulle to keep me warm haha! Breathtaking! You certainly make a perfect angel. 🙂 Will you be sharing your construction process with us?? beautiful pictures! You must have been so cold sitting in the snow in the second to last picture though. Where do you put the battery compartment for the lights? Stunning photos of a neat project. This dress/concept is genuinely inspiring. I love it! Yes….. I wish I was that pretty!!!!! What a great Dad you have, always at the ready with his camera! His pride in you and support of your dreams shows through his lens. Lots of love there, for sure. Thank you, I definitely do! It’s my camera, he knows very little about photography. But he is great at taking direction and a really good sport about the whole thing! These pictures are beyond amazing!! Wonderful work you two!! I can’t wait to see more wonderful creations from you!! great photos – I love how the skirt of the dress vanishes into the background, but the flowers, lights, and you still stand out. These are soooo pretty. Quick question, what kind of camera do you use? I used a Nikon D7000! I ballroom dance and have a solo I perform in a dress that suggests the angelic since I used die cut fabric in a mint that moves when I dance. 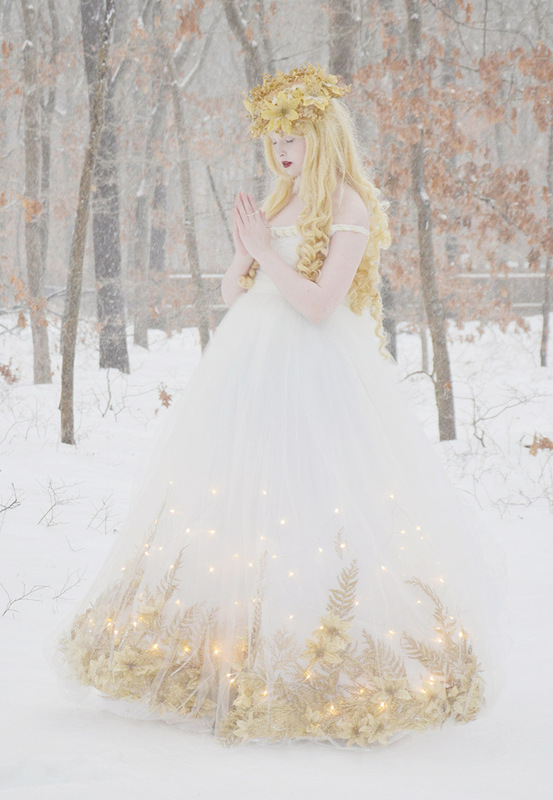 I wanted to “light up” the dress in some way since I am come down from heaven. 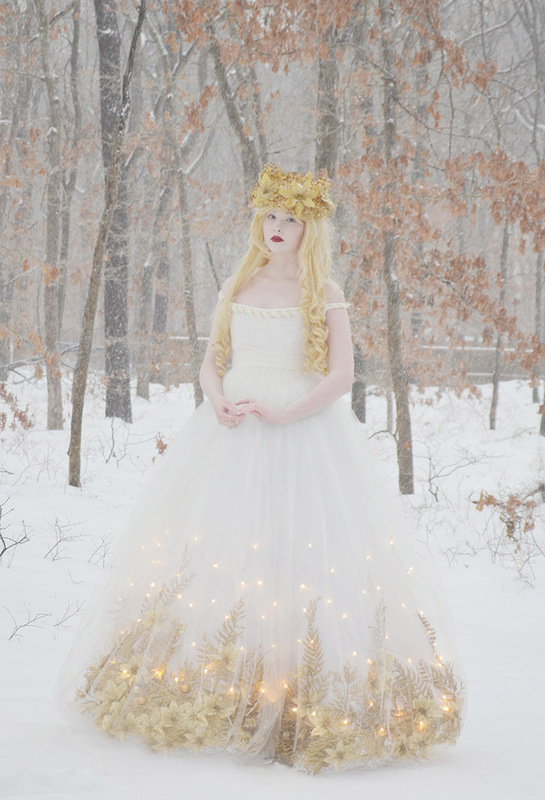 What kind of lights did you use and how did you attach them to the dress? I am a former history and English teacher so I am fascinated with what you have done. Designing my own ballgowns is an enjoyable hobby although I have someone else sew them for me. You would love designing ballroom!! Angela I love the Dresses you make. As a Underwater photographer http://www.bnwphotography.nl I just can dream to use this kind of dresses underwater. As you I do not have the money to buy them and have to make them after the workingday. But I am a great fan of you and wil follow you. Keep up you very nice work and maybe we will see sometime you beautiful work in some mooie. 😃 love and regards Ineke.